Research firm comScore released some stats on iPhone usage in the UK this week, finding that 93% of iPhone owners accessed mobile media in January, much higher than the average for smartphones. I’ve come across a few other stats on mobile internet usage and mobile commerce recently, so I’ve rounded some of them up to coincide with the release of the latest version of our Internet Statistics Compendium. Email is used by 75.4% of British iPhone owners, making it the most popular internet activity on the phone. By comparison, 35.4% of all smartphone owners used email, and just 13.1% of all mobile users. 55.1% used a search engine on their iPhones, compared with 31.9% of all smartphone users, and 12.3% for all mobiles. 75% of iPhone owners are male, with the majority aged between 18 and 44. The pattern is similar for smartphones; 65% of users are male. The number of people accessing news and information via mobiles in the US more than doubled between Jan 2008 and Jan 2009, thanks in part to the iPhone. 63.2m people used their mobiles to find news and information in January 2009, with 22.4 m (35%) doing this on a daily basis. The mobile commerce market is predicted to be worth $1.6bn in 2009, according to ABI Research. An Orange Exposure study of 2,000 UK mobile users found that 35% had made some kind of purchase from their mobile phones. 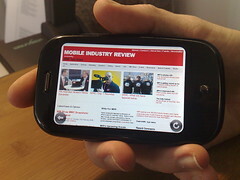 In its Mobile Metrics study (PDF), AdMob reported 253,737,396 mobile advertisement impressions in the UK during January 2009. According to a GfK survey, 33% of mobile consumers recall seeing mobile advertisements, compared with 41% of iPhone users, while iPhone users are four times as likely to recall location based advertising than other mobile users. In the same survey, one in seven consumers reported buying a product or visiting a store as a result of a mobile advertisement, and for iPhone users, over 25% bought something as the result of seeing a mobile advertisement. If you cry wolf too many times, people are apt to dismiss you. The mobile internet is the boy who cried wolf. For years, many have predicted its rapid rise, and massive revenues. Yet by in large we’ve all been disappointed. Year after year new developments have been made but a mobile internet that’s as important as many believed it would be hasn’t shown up.